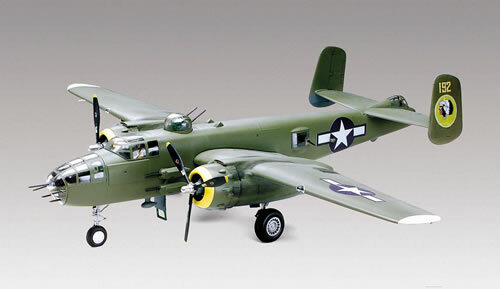 Something that I wish Revell would release again, the 1/48 B-25J Mitchell. I built a kit like this in the 3rd grade, at that time it was done by Monogram (before they were purchased by Revell) and it had the "Panchito" graphic on its nose. I've been looking for this kit for a long time already and its always out of stock. This kit is special to me because it was one of those few times in my childhood life that I was able to get my Dad to come down to "my level" I remember when he saw me building this kit that there was a sudden sparkle in his eye and he sat down next to me and started telling me stories about the second world war. My Dad never really liked talking about the war because it was a very bad experience during his childhood. I never knew what happened to this model of mine. I can only assume that it got lost during one of our family's moves to another house. At that time I was studying in another town so I grew up mostly away from my family so had no control over what happened to my stuff during one of those moves.